Home » Louis XIII. fashion. France Ancien Régime. Marshal Souvré. Mr. Bellegarde, Grand Squire of France. M. Pluvinel, Riding Master of Louis XIII. (1610-1643). Louis XIII. fashion. Ancien Régime. 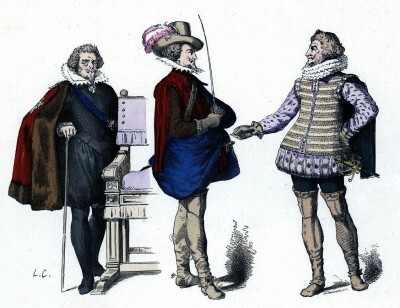 This entry was posted in 17th Century, Ancien Régime, Baroque, France, Nobility and tagged Baroque fashion, Costumes civils et militaires des Français on 5/3/16 by world4.